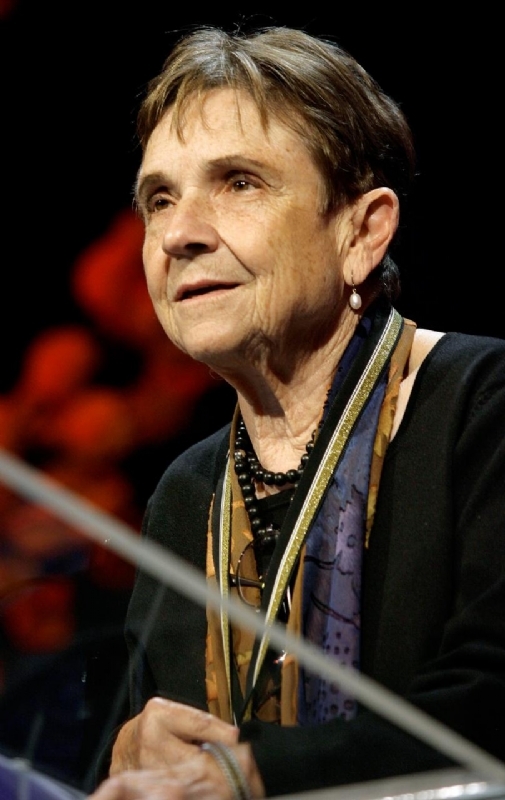 Adrienne Rich (born as Adrienne Cecile Rich in Baltimore, Maryland, United States, died in Santa Cruz, California) was a famous Poet from USA, who lived between May 16, 1929 and March 27, 2012. She became 82 years old. Adrienne Cecile Rich was an American poet, essayist and feminist. She has been called "one of the most widely read and influential poets of the second half of the 20th century." Rich died on March 27, 2012, at the age of 82 in her Santa Cruz, California home. Her son, Pablo Conrad, reported that her death resulted from long-term rheumatoid arthritis. She is born under the zodiac taurus, who is known for Security, Subtle strength, Appreciation, Instruction, Patience. Our collection contains 22 quotes who is written / told by Adrienne, under the main topic Poetry. "We might possess every technological resource... but if our language is inadequate, our vision remains formless, our thinking and feeling are still running in the old cycles, our process may be "revolutionary" but not transformative"
"Every journey into the past is complicated by delusions, false memories, false namings of real events"
"A revolutionary poem will not tell you who or when to kill, what and when to burn, or even how to theorize. It reminds you... where and when and how you are living and might live, it is a wick of desire"
"Poetry is above all a concentration of the power of language, which is the power of our ultimate relationship to everything in the universe"
"I keep coming back to you in my head, but you couldn't know that, and I have no carbons"
"The worker can unionize, go out on strike; mothers are divided from each other in homes, tied to their children by compassionate bonds; our wildcat strikes have most often taken the form of physical or mental breakdown"
"The repossession by women of our bodies will bring far more essential change to human society than the seizing of the means of production by workers"
"Pride is a tricky, glorious, double-edged feeling"
"Lesbian existence comprises both the breaking of a taboo and the rejection of a compulsory way of life. It is also a direct or indirect attack on the male right of access to women"
"The connections between and among women are the most feared, the most problematic, and the most potentially transforming force on the planet"
"Lying is done with words and also with silence"
"It's exhilarating to be alive in a time of awakening consciousness; it can also be confusing, disorienting, and painful"
"The mind's passion is all for singling out. Obscurity has another tale to tell"
"Art, whose honesty must work through artifice, cannot avoid cheating truth"
"They can rule the world while they can persuade us our pain belongs in some order is death by famine worse than death by suicide, than a life of famine and suicide...?" "The mother's battle for her child with sickness, with poverty, with war, with all the forces of exploitation and callousness that cheapen human life needs to become a common human battle, waged in love and in the passion for survival"